Get Quality Sheds at the best prices When you're chasing the best sheds in the market that are superior quality and easy to build, check out Precision Steel Framing. We guarantee value for money and the best shed prices for heavy duty Australian made sheds. Altitude Motel is aiming to entertain the private and corporate stay needs in Toowoomba. 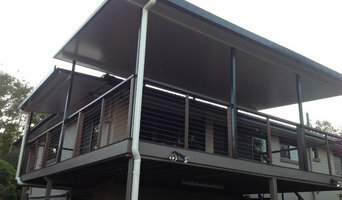 You can never find such a super four star motel other than us throughout in Toowoomba. We bet your staying experience a golden one. Our passionate employees will narrate their services at the super bets stance. You will be happy living in our beautiful suites as each of them is highly entertaining. Either it be a business tour or a family, we are the only reasonable choice. Our every suite is available at economic price offering bundles of facilities. Let us make it worthy come stay with us! Outdoor living is an embedded part of the Australian and New Zealand way of life. Hosting a barbecue or pool party simply comes with the territory. If you want to craft your outdoor space into one you can sit back and relax in, consider hiring a deck, patio and outdoor structures specialist in Toowoomba, Queensland. Whether you need shade sails for the pool, a pergola to comfortably sit under, or new decking to replace your tired, old floors, there’s a professional on Houzz who can help. Some contractors in Toowoomba, Queensland can custom design and build any type of outdoor structure, from decking to pool houses, while others specialise in a certain area. A deck, patio and outdoor structures contractor will typically survey your space and come up with a design that complements your backyard and the exterior of your Toowoomba, Queensland house. Find a Toowoomba, Queensland deck, patio and outdoor structure pro on Houzz. Scroll through this page to professionals in your area that can design, build and supply materials for all types of outdoor structures. You can browse their latest projects, read reviews to see how other homeowners rate their work, and message them directly.